← Happy Hanukkah to all! What cheese will be on the table? Happy National Cheese Lovers Day! Last year, The Mouse was pleasantly surprised to discover that there was a holiday just for fromagephiles to pay homage to the blessed curd. A full twenty-four hours to bask in the glow of some Basque or any cheese of choice. So, what’s a cheese lover to do when upon opening the refrigerator door on National Cheese Lovers Day and finds that the cheese safe is bare? Fear not, for The Mouse has a brief list of shops to help restock for the celebration. For those fortunate to be in New York, the options seem endless. First there is Murray’s in two locations, Greewich Village and Grand Central. The cheesemongers at Murray’s really know their way around a cheese cave and can recommend a selection for even the most eclectic of taste buds. Not is New York but still want the Murray’s experience? Check out their Kroger kiosks in Cincinnati, Houston and Atlanta. For the rest of us, Murray’s ships direct to home through their website at www.murrayscheese.com. Searching for some American Farmstead cheeses? Check out Saxelby Cheesemongers in Essex Market or their newest location at Épicerie Boulud, Chef Daniel Boulud’s retail outpost in Lincoln Center. They two have an online shop for home delivery at www.saxelbycheese.com. Then there is Artisanal Cheese that not only sells amazing cheeses, they offer classes and events, many conducted by the one and only Maître Fromager, Max McCallam. Order online at www.artisanalcheese.com. Californians are blessed with so many options it would take pages and pages to list them all. Cowgirl Creamery is an obvious choice for those seeking not only fantastic cheeses, but also fun fromage accessories like wooden cheese safes. Washington DC residents can pop in to their shop in Penn Quarter. The rest of us can still order online at www.cowgirlcreamery.com. In San Francisco and in need some cheese? Check out Cheese Plus on Polk Street. Samantha and her fellow cheesemongers will be sure to give you a tasty tour. Sadly, Cheese Plus does not have an online shopping site, but have been known to take phone orders to ship out. Don’t forget about the Rainbow Grocery Cooperative in San Francisco, where Gordon Edgar, author of Cheesemonger, Life on the Wheel can help with cheese selections. The Midwest is no slouch when it comes to cheese shops either. No visit to Ann Arbor, Michigan is complete without a stop in at Zingerman’s Deli in Kerrytown. Monger Shawn and his gang of merry mongers will dazzle customers with knowledge and tastings. Be sure to check out their stellar sandwiches as well. They even make their own line of cheeses at Zingerman’s Creamery and offer cheesemaking classes on weekends. Finally, Whole Foods Markets nationwide have fantastic cheese selections and smart cheesemongers to offer tastes and suggestions. Don’t forget about the local cheesemongers in independent markets and shops as well. 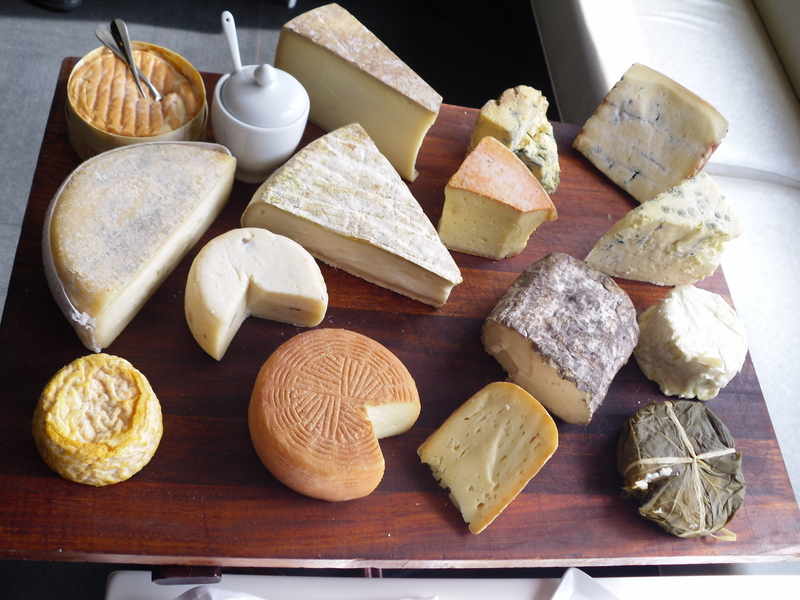 With so many options out there, no one should be cheese-less on National Cheese Lovers Day! Stay Cheesy!